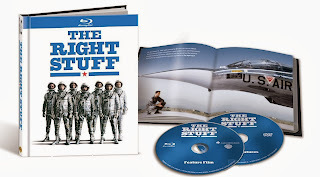 Rupert Pupkin Speaks: Warner Home Video: THE RIGHT STUFF on Blu-ray ""
I remember a time when a ton of young kids wanted to be astronauts. I was one of them. What could be more glorious than going into space? Astronauts were kind of like the last frontier explorers in a sense. They were a special select few who had gone through rigorous tests and training to be chosen to be a part of history. 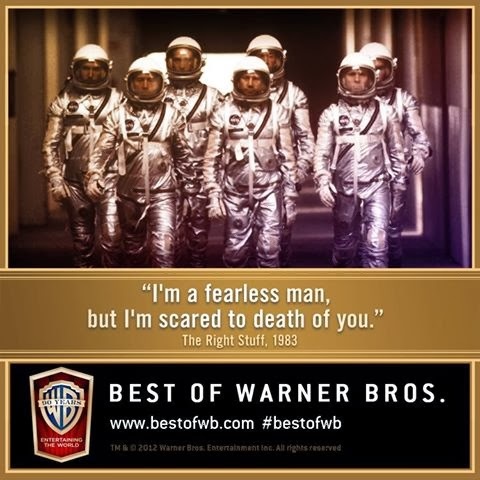 THE RIGHT STUFF is, to my mind, one of the last great American epics. 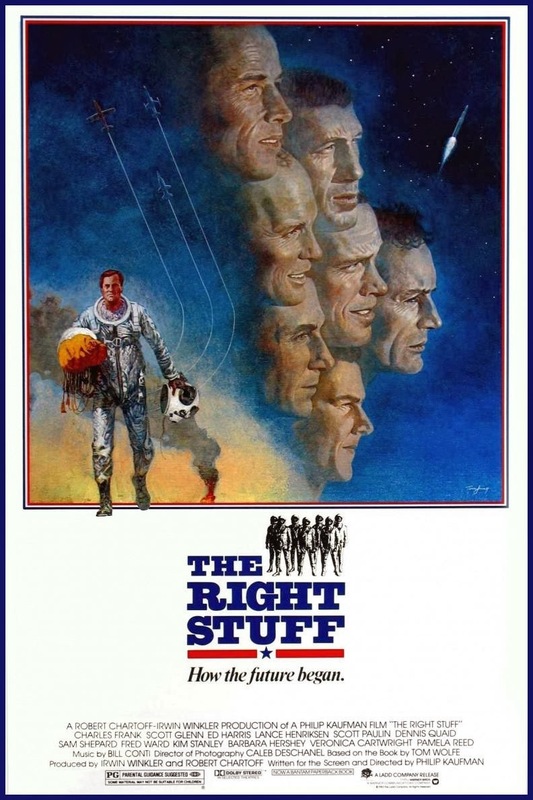 Though it was released in 1983, this story of Chuck Yeager and the first Americans in space has something of the classic Hollywood feeling. Sure, present day Hollywood still makes long movies, but I don't feel like they are epics in the way they once were. Granted, the story that THE RIGHT STUFF is telling is truly epic in scale, but it really delivers on an epic level that I feel a lot of present day Hollywood films do not. One certainly cannot deny the influence of this movie though, right up to the present. We all know Michael Bay is absolutely a fan. The now classic "Michael Bay guys walking in slo-mo" shot is ripped right out of this movie and should be properly remembered as "THE RIGHT STUFF shot". That shot has become so obligatory and iconic that I think few people recall its origins any more. Take a moment and give director Philip Kaufman his due as he deserves a least a little recognition. What's truly best though is to see that shot in the context of this film. It's still immensely impactful and powerful when it happens. 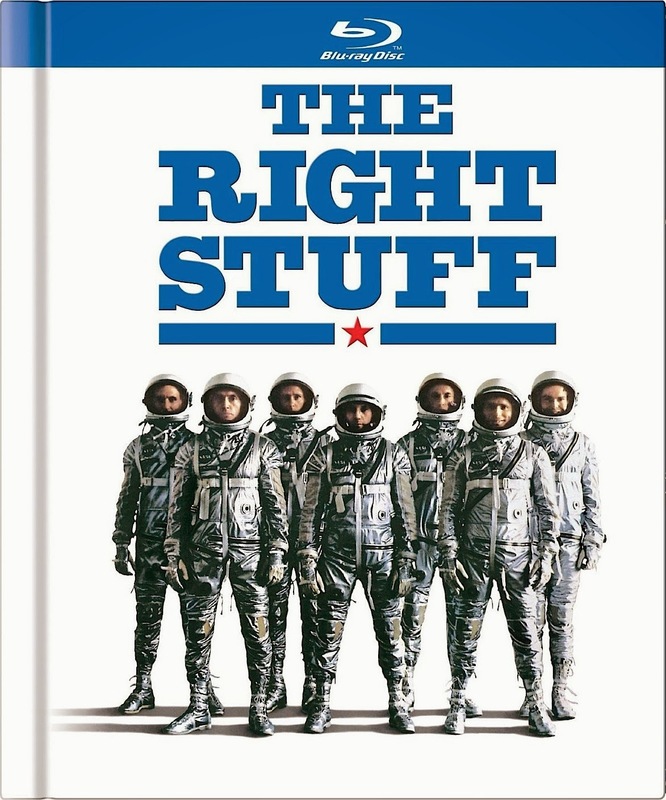 You can't bring up the topic of THE RIGHT STUFF without delving into the cast. Talk about an all-star game. The roll call here features Sam Shepherd, Scott Glenn, Ed Harris, Fred Ward, Dennis Quaid, Barbara Hershey, Veronica Cartwright, Pamela Reed, Lance Henriksen, Scott Wilson, Jeff Goldblum and John P. Ryan. Truly a magnificent ensemble. Though the film has been previously available on DVD, VHS and laserdisc, I do hope that this new Blu-ray edition will drum up some much deserved attention for a film that I believe to be among the best produced in the 1980s. Truly a masterpiece. And its arrival on Blu-ray couldn't come at a more serendipitous time, what with GRAVITY captivating audiences and breaking box office records. I do hope some of that 'astronaut love' trickles down to what you might call 'the prequel' or the grandfather of all space -walk stories. The kind of movie that made every kid dream of one day looking down on the earth from above the atmosphere. 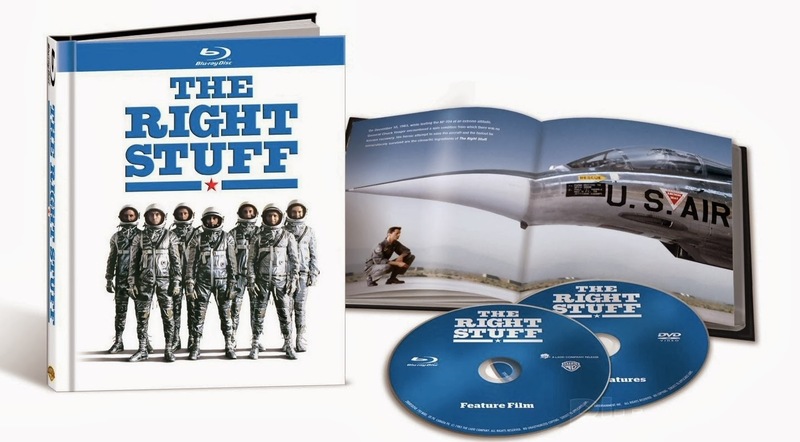 This 30th Anniversary Blu-ray is a lovely package with a lot to offer the RIGHT STUFF fan. -"The Journey And The Mission" - Audio Commentary with selected scenes. This feature has two parts - one with the cast giving commentary and one with the filmmakers, both running about 25 mins in length. -The 'Additional Scenes' feature has about 11 mins of extra footage. -The 'Interactive Timeline to Space' has a bunch of notable dates in the American journey into space with a clip pertaining to each. -"John Glenn: American Hero" is a feature length documentary(86 mins) on Glenn himself. Also included in this package is an letter from director Philip Kaufman as well as a 40-page Blu-ray book with photos, production notes and more information on the film. One of my favourites - so many memorable moments. I just adore this film and the performances. Can't wait.